A teaser trailer for Super Hero Taisen 2015 aired at the end of the screening of Kamen Rider Drive & Gaim: Movie Wars Full Throttle film. 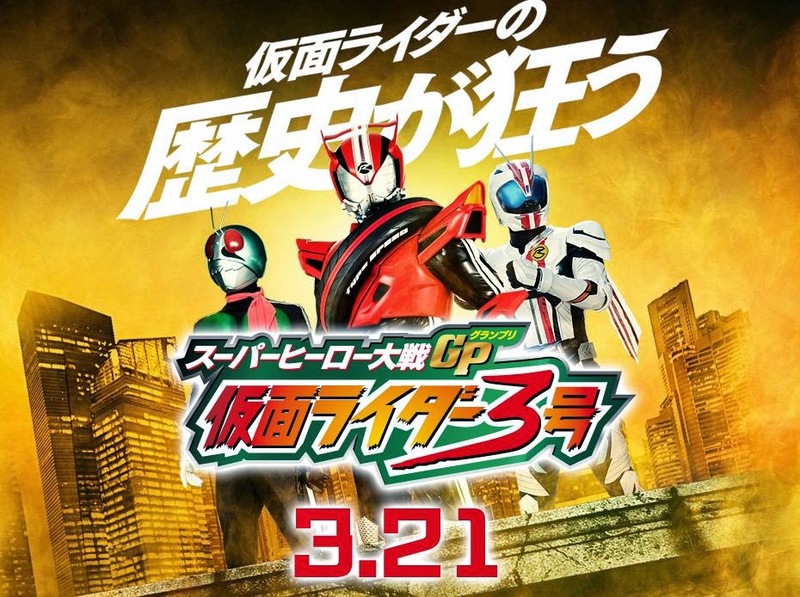 The teaser features Kamen Rider and Super Sentai at the top-billing and a shot of a car that has similar colors of Kamen Rider 1's Cyclone bike, complete with the red stripes and the Tachibana Racing Club logo. We have previously reported that Tetsuo Kurata and Yuichi Nakamura will appear in an unnamed Kamen Rider film. Could this be the film that these two will appear in? That is for us to find out in the weeks leading to the film's March 21, 2015 premiere! Zuletzt geändert von W-B-X am So 14. Dez 2014, 16:50, insgesamt 2-mal geändert. Also nicht nur ein neuer Rider Taisen sondern auch noch ein neuer Super Hero Taisen? Also langsam übertreiben dies echt ein bisschen. Wenn sie aber nen SHT machen bleibt wenigstens zu hoffen, dass es keine überflüssige Sentai-Szene im Rider Taisen gibt- die war im ersten ja mal der totale Moodbreaker. Auch wenn das natürlich mehr ausgemacht hätte, wenn der Film gut gewesen wäre. Das vor allem. Aber dann bleibt zu hoffen das es nicht in beiden Filmen die abgedroschene wir tun so als wenn wir böse wären story gibt. Zweimal reicht ja auch. Ich würde mir wünschen, dass es mehr so wie SHT Z ist, wenn möglich natürlich besser, aber mit der Z-Quali würd ich mich zufrieden geben. Cinema Today reported the title of the upcoming Super Hero Taisen film and the "new" Kamen Rider that will appear in the film. Entitled "Super Hero Taisen GP: Kamen Rider 3", the film will mark Kamen Rider #3's official live-action debut 40 years after his first appearance in the 1972 story "Rider #3 vs. Black Shogun" written by by series creator Shotaro Ishinomori. For those who don't know Kamen Rider #3, he was created 3 months prior to the premiere of Kamen Rider V3. 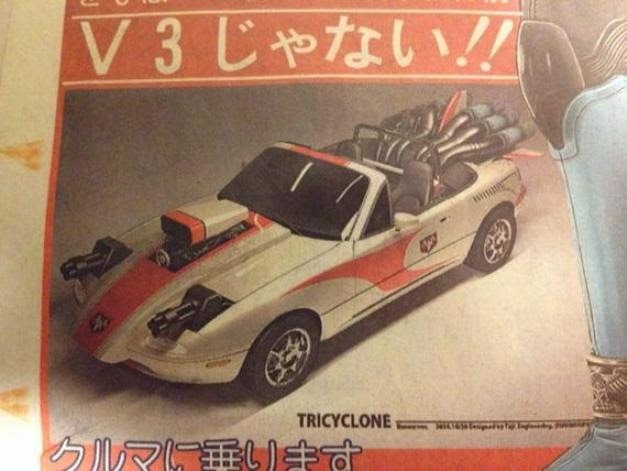 Similar to Riders #1 and #2, #3 was also modified by Shocker, but unlike them, he drives a car called the TriCyclone. 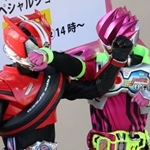 In the upcoming film, Rider #3 will meet another car riding Rider, Kamen Rider Drive. In addition, Kamen Rider V3 is said to have a part in this film. Toei's producer Shinichiro Shirakura (Super Hero Taisen) is the reason why Kamen Rider #3 will make his big-screen debut, he stated, "Will Drive and #3 be enemies? Or will they be allies? This third Rider in Kamen Rider history is virtually unknown to fans, and the movie will revolve around the mystery behind his existence." Directed by Takayuki Shibasaki (Kamen Rider Drive & Gaim: Movie Wars Full Throttle), Super Hero Taisen GP is set for a March 21, 2015 release. Yesterday, we got a look on Kamen Rider #3's suit design for the Super Hero Taisen GP film. That being said, fans wondered how his car looked like. Seen above is the TriCyclone, Kamen Rider #3's bike which first made an appearance in the 1972 story "Rider #3 vs. Black Shogun" written by by series creator Shotaro Ishinomori. The image above is exactly what was described in the film's teaser trailer, "a car that has similar colors of Kamen Rider 1's Cyclone bike, complete with the red stripes and the Tachibana Racing Club logo." It is still unknown if this will be the exact appearance of the TriCyclone in the upcoming film. Anime! Anime! reported that Shoji Yonemura will write the upcoming Super Hero Taisen GP: Kamen Rider #3 film. 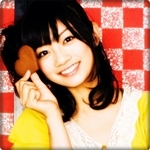 Yonemura previously wrote the Kamen Rider Taisen, Super Hero Taisen Z and the Super Hero Taisen films. 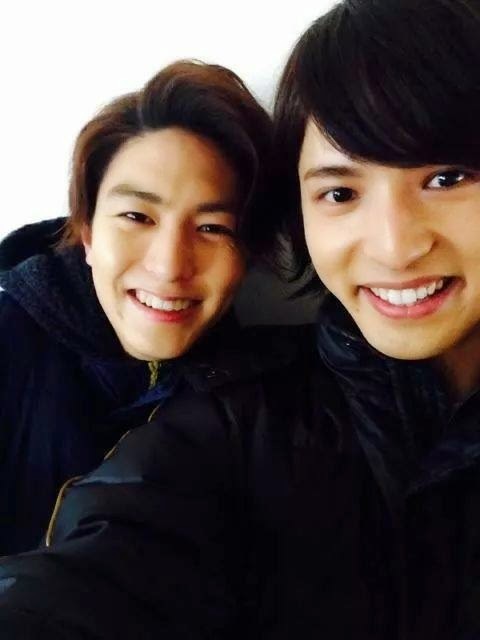 In addition, the Super Hero Taisen GP film started filming last November 29. 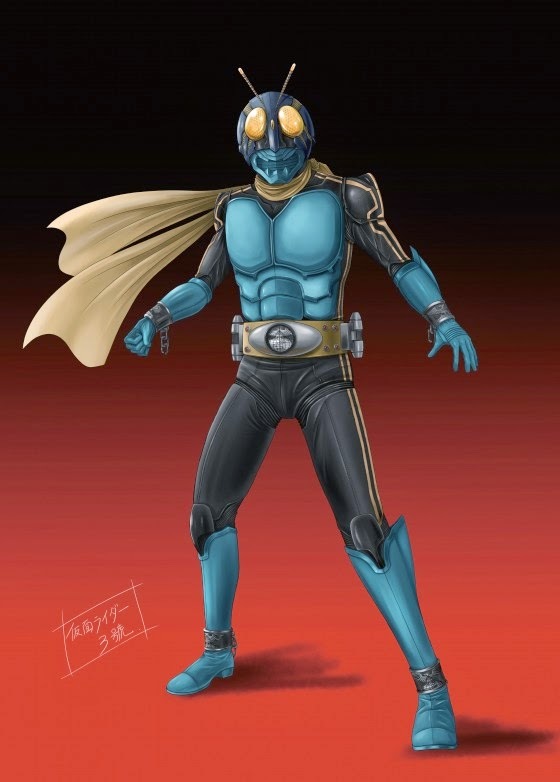 The upcoming film will feature the live-action on-screen debut of Kamen Rider #3, a character created by series creator Shotaro Ishinomori for a 1972 Kamen Rider story. According to producer Shinichiro Shirakura (Super Hero Taisen), Kamen Riders V3 and Drive will play a big role in regards to the mystery of this "new" Rider's existence. BTW. hatte nicht irgendjemand spaßeshalber behauptet der nächste Super Hero Taisen hat GT im Namen? Lag knapp daneben. The returning Kamen Riders are: Yuuto Sakurai/Zeronos w/ Deneb, Sakuya Tachibaba/Garren, and Kotaro Minami/BLACK. Interesting enough, Kotaro's costume is similar to his costume in the BLACK & BLACK RX story arc in the Kamen Rider Decade TV series. Oh, and our heroes will once again fight Shocker. Lastly, we got our glimpse of the live-action Kamen Rider #3 suit. Directed by Takayuki Shibasaki (Kamen Rider Drive & Gaim: Movie Wars Full Throttle) and written by Shoji Yonemura (Kamen Rider Taisen) Super Hero Taisen GP is set for a March 21, 2015 release. 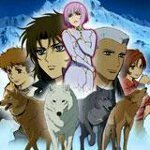 Fettes YES für Yuuto, Deneb und Tachibana-san als Ergänzung zu Kotaro, fettes NO für Yonemura. 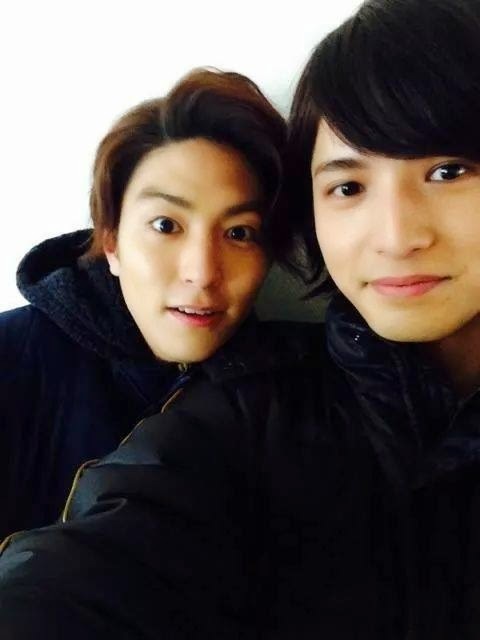 Actor Kento Handa has confirmed via Twitter that he will appear in Super Hero Taisen GP: Kamen Rider #3 film! 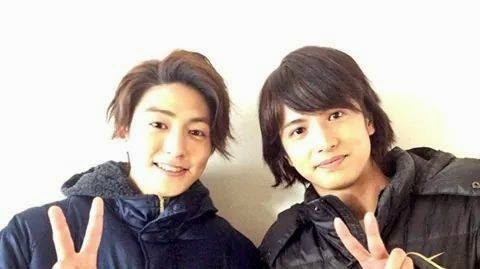 He will once again reprise the role of Takumi Inui/Kamen Rider 555 in the said film, a role that he previously reprised in this year's Heisei Rider vs. Showa Rider: Kamen Rider Taisen film. 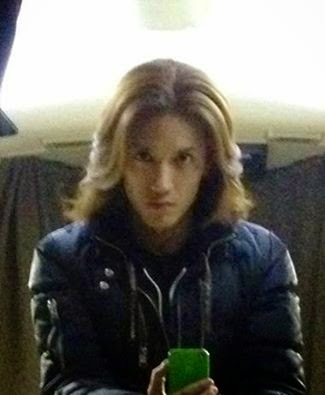 To prepare for the role, he grew it out to look more like Takumi from the TV series. 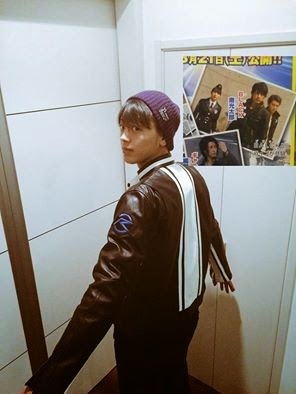 Here are some leaked pics from the upcoming Super Hero Taisen GP movie plus check-out Shinnosuke's spankin' new jacket for the movie and Takumi brings back his old long haired look! 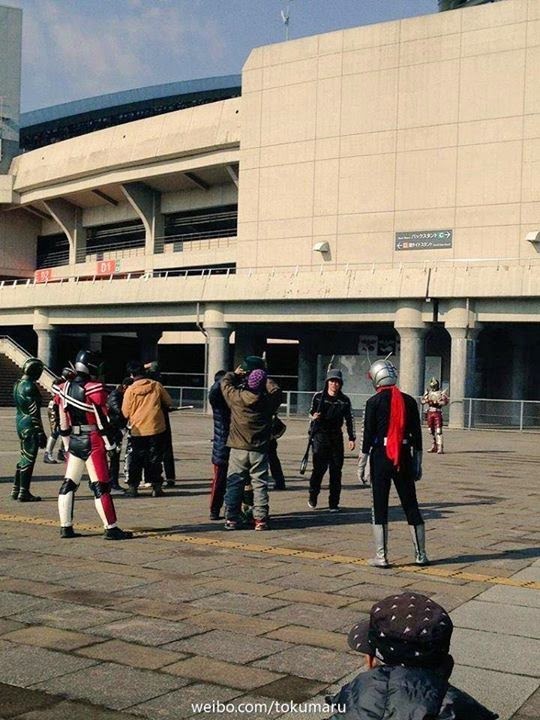 The video shows a collection of leaked pics from the set of Super Hero Taisen GP featuring Shocker grunts readying for the shoot. And here's a shot of Shinnosuke's jacket. Look's he's gonna join the classic Kamen Rider civilian look bandwagon in the movie. Hope this one makes it to the series. And for those Takumi Inui Fans, he will be bringing back his classic long haired bad-@$$ look in the movie! Das Outfit von Shinnosuke ist echt nice. Alle Blade-Rider wieder in einer Szene vereint (auch wenn man auf dem Bild nur Garren sofort sieht, weil die anderen verdeckt sind) und ganz viel YUUUUUTOOOOO! Ah ich hab mich bei deinem Post einfach nur verlesen weil ich "sein" anstelle von "ein" gelesen habe. Traumhaft wäre es natürlich wenn wirklich alle passenden Suit Actor in den anzügen stecken würden. Naja, da Drive gerade nicht anwesend ist, wäre es bei Blade schonmal nicht auszuschließen, dass Takaiwa drinsteckt. Sind ja auch von Inoue geschrieben. Vor allem von Post Faiz Inoue...das bööööööseeee!! !